Students must have completed the Certificate in Dance Performance before enrolling in the Diploma, one additional year of study. Secondments and professional placements are an important part of the final year of training, providing the opportunity for students to work with a dance company for up to twelve weeks of term time. Dancers gain industry knowledge and contacts through these secondments, which often lead to professional contracts. 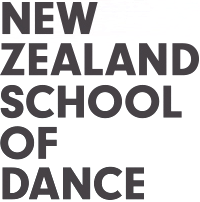 In recent years NZSD students have seconded to professional companies and choreographers such as Australian Dance Theatre, Royal New Zealand Ballet, Leigh Warren and Dancers, West Australian Ballet, Daniel Belton and Good Company, Dancenorth, Tasdance, Singapore Dance Theatre, The New Zealand Dance Company, Footnote, Java Dance Company, Shaun Parker & Company, Sarah Foster, Expressions, Sydney Dance Company and Queensland Ballet. These visiting programmes allow students to experience different teaching methodologies, enjoy a fresh environment and meet important dance-world contacts. Students have the opportunity to perform in the School’s Graduation Season, and contemporary students to create their own choreography for the Choreographic Season. As part of this season, students collaborate with lighting designers, costume designers, production and stage managers from Toi Whakaari: NZ Drama School. Throughout the third year, all students maintain their studies in classical and contemporary technique and learn a diverse range of repertoire in readiness for the industry. They also receive advice on career planning. Practical and theoretical classes are regularly reviewed through formal and informal assessments. Promotion into the third year of training is based on achievement.